and we can help you choose the most suitable one for your business. Automatic bank feeds, simple reporting, online dashboards and no more data entry. You won’t have to waste time trying to find receipts or organize paperwork – cloud accounting can do it for you! Access your data, financial information, reports and the information you need to make business decisions on the go from anywhere, anytime, on any device. 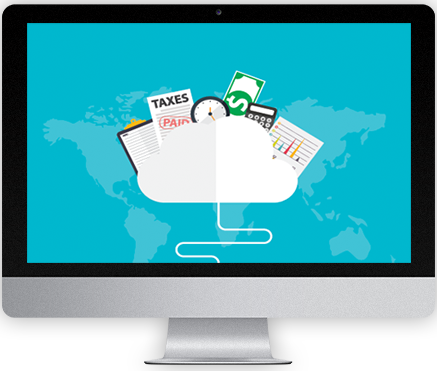 Cloud accounting software allows you to view your financial data in real-time. This means you’ll have the information on hand to make informed, quick and accurate business decisions when you need to. If you understand exactly how your business is performing you’ll be better positioned to run a successful business. How can you make good decisions if you don’t have all the right information? Quickly access reports, dashboards and other information. Cloud accounting technology includes online invoicing which allows you to send invoices to customers quickly and seamlessly, and follow them up automatically. Modern accounting platforms help you improve your cashflow and get paid quicker – what’s not to love? Grant your accountant or bookkeeper access to your file and you can expect real-time advice as well! Collaborate with your business partners and colleagues by allowing and restricting user access as you need. Going paperless sounds great doesn’t it? It’s possible (and easy) with cloud technology! Use your phone or tablet to capture your receipts and manage your expenses easily. Say goodbye to pesky piles of paperwork you don’t understand. Working in the cloud means your working on a platform with multiple layers of security. If your phone, tablet or laptop is broken, lost or stolen, all your data is safely backed up in the cloud. Explore each of our cloud accounting expertise!